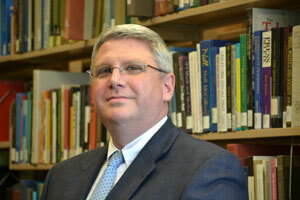 The answer to what an academic library is varies based on one’s need. I suggest, however, it must be both active and passive in providing services if it is to be relevant to its community. The needs of our university-community members constantly change: sometimes daily, even hourly. To be ready to meet the challenges this situation presents, the academic library should be a nimble yet stable institution. Active and nimble while remaining passive and stable is a pretty tough role. So what allows us to fulfill this role, and how is Falvey accomplishing this “all things to all people” model when it comes to providing services? What keeps an academic library active and nimble is looking to the immediate needs for which students and faculty turn to the library: access to data and assistance transforming data into information in the pursuit of knowledge. Current sources, many of them instantaneous, can give anyone access to data by means of devices that can fit in your backpack or even your pocket. Knowing how to locate relevant data, sift through results, and evaluate the academic appropriateness of what is discovered is the true hurdle. While technological facility and some degree of discovery sophistication are almost innate among today’s students, real information literacy is the key for unlocking data in an effort to turn it into knowledge. An essential element of this process is the librarian, who actively reaches out to scholars in an effort to guide and instruct, helping them successfully migrate from data seeker to knowledge worker. The pedagogy for information literacy, therefore, needs to be seamlessly combined with many different efforts at customer service. To achieve this end, the reference-books area on Falvey’s second floor is being reconfigured into a research service center to strengthen the library’s customer-service presence on the Learning Commons street. This improvement is precisely the kind of service provision outreach that helps students find their way to advanced library research assistance and the librarians with subject expertise. This change is active, too, in that it results from a data driven decision to offer a concierge-like service. 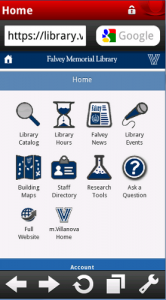 It is nimble in that Falvey as a facility is not so fixed that it is unable to adapt. In fact, the space which we are identifying as the research service center will convert to an area of mixed furniture for studying when it is not staffed. This capability results directly from a survey of library users, primarily undergraduate students. So the space passively waits to be made active by librarians reaching out to assist students, and students can inhabit the space for studying when it’s not active as a service center. Another example of a passive space that becomes animated with activity is the Falvey Hall lobby and reading room. 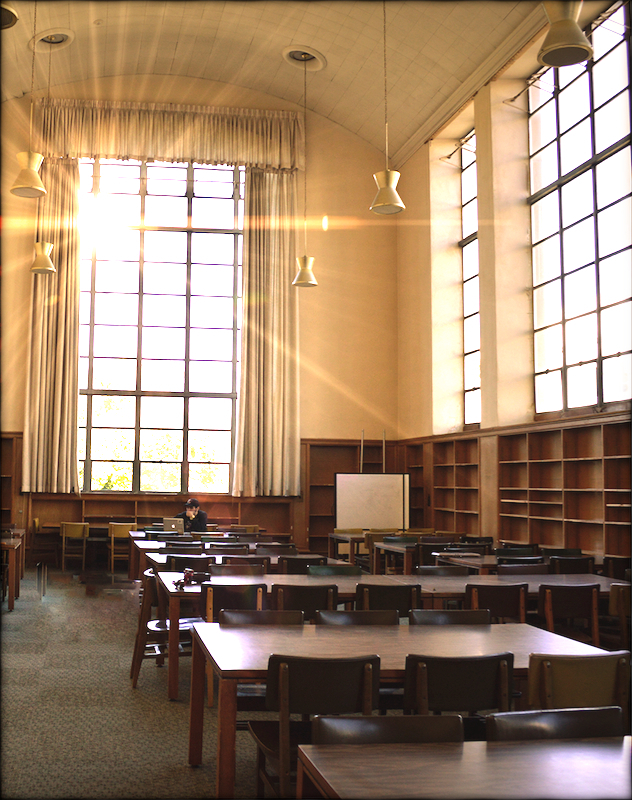 Recently, areas of Falvey Hall (aka “Old Falvey”) that for years had been unavailable to students have been re-opened for quiet study 24/7. The spaces now passively wait for university community members to use them for their intended purposes. 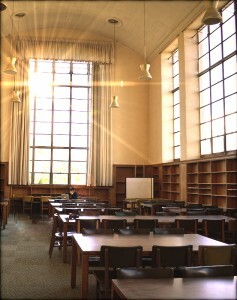 The newly opened study lounge and reading room greatly increase the capacity for the Library to be the place on campus to study, anytime, day or night. Yet these stable venues are activated in that students use white boards in the Falvey Hall lobby to diagram and articulate, and in the reading room, long the hallmark of an academic library, they can participate as a spectator in the ongoing Baroque painting conservation campaign. Mere passive spaces again become lively and furtive for the transformation of data to information, and on into knowledge. 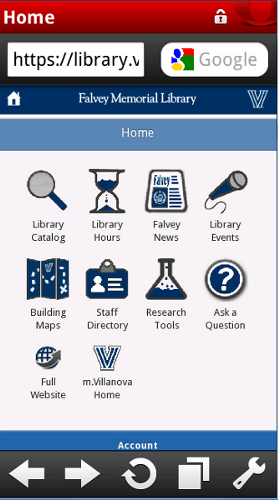 Falvey is poised to provide active library research assistance, and is active in providing passive yet engaging spaces around the clock. It is a blend of active and passive. This function is important for an academic library: to be active and responsive when it needs to be but also there when you need it, as it should be.